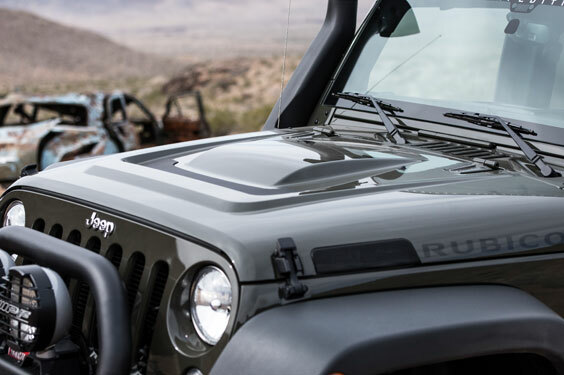 Instantly identifiable on the road or a rocky trail, and for more than five decades a symbol of America’s sense of rugged individualism and freedom, Wrangler is an icon. And yet AEV brings the Wrangler to a whole new level of design excellence and outstanding performance, both on the pavement and as an off-road beast that rises to the most intense trail adventure. From fortified stamped steel front and rear bumpers, to three levels of lift on AEV’s highly-engineered DualSport Suspension, to wheels, and much more, AEV JK packages elevate the Wrangler to something entirely new— a vehicle with show-stopping stance and scale as well as extreme capability in virtually any driving condition. This is the Jeep Wrangler that will truly take you anywhere. PREMIUM FRONT BUMPER: Made of 3/16” stamped steel, the Premium Front Bumper is both lightweight and built to last. Aside from maximum front end protection, this bumper enhances Wrangler’s approach angle to allow for 37” tires. Two ½” solid steel tow hooks mount directly to the chassis, and an optional winch mount supports the recommended Warn 9.5cti winch. This is the only bumper on the Jeep aftermarket to pass OE crash testing and to have been placed on an OE assembly line. 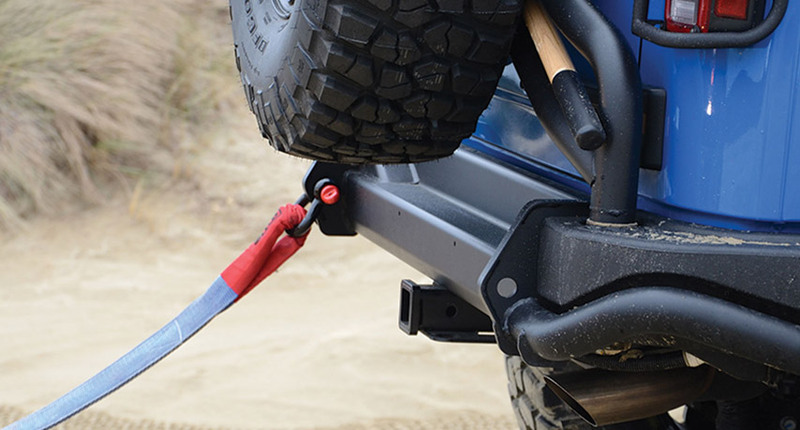 REAR BUMPER/TIRE CARRIER: Made from steel for a rugged upgrade to the plastic stock bumper. 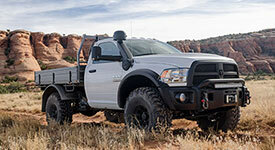 The steel tow points mount directly to the frame for maximum recovery ability, and the bumper ingeniously stores up to 5 gallons of water for trail use. The highly versatile Rear Tire Carrier mounts directly to the frame to secure larger wheels and tires, and also accommodates a 10.2 gallon JK Fuel Caddy, Backup Light, Rear Vision System, and Center High Mount Stop Light. HEAT REDUCTION HOOD: Aggressive styling and engineered to create air flow to cool the engine. Featuring the highest-quality 23-gauge galvanized steel construction, our award-winning hood design is engineered with the OE crumple zones for maximum impact protection. Strategically placed vents allow for the continuous flow of cool air, particularly in difficult low-speed terrain. ALLOY WHEELS: Made of strong, lightweight, cast aluminum, AEV wheels come in several highly-stylized designs and finishes. AEV’s JK wheels feature an ideal offset specific to the JK’s suspension geometry, accommodating larger tires while maintaining ideal scrub radius and smooth handling on or off-road. Designed with a valve stem recess to protect the valve stem and TPMS from damage when in extreme terrains. EXCLUSIVE LEATHER SEATS: Refined and upgraded cabins for drivers to thrive in the toughest conditions possible. Tested in the hottest and coldest weather, these interiors are an evolution of more than 20 years of overlanding. 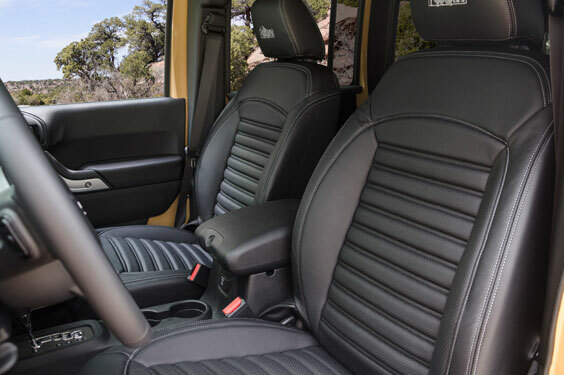 Our durable interiors strike the perfect balance between comfort, function, and livability. FRONT AND REAR FLOOR LINERS: Rugged floor mats that are specifically molded to the JK front and rear seating areas. Beveled edges form a pan to contain moisture and spills. Made in the USA of a durable, thermoformed rubber that remains pliable in cold temperatures. 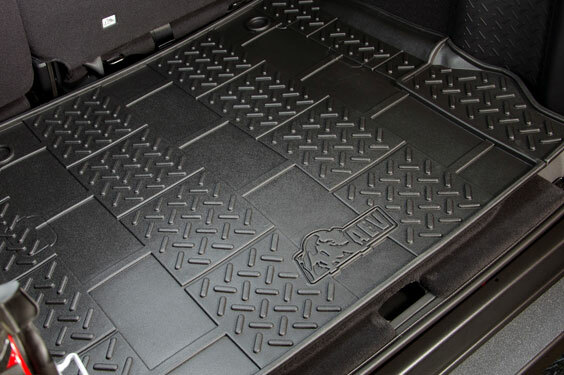 CARGO LINER: Tactile, thermoformed JK Cargo Liner designed with beveled edges to contain spills and a cross-hatched surface to prevent cargo from sliding. Raised circular trim holes ensure access to the two all-important tie-down rings in the floor pan of the JK while still preventing leaks. DUALSPORT SUSPENSION SYSTEM: Taking off-road suspension engineering to the next level. AEV's suspension development is about more than just adding lift height, articulation, or flashy-looking components. It’s about bringing OE-level suspension engineering to the aftermarket to create a true do-anything “DualSport” suspension – providing you with the ultimate capability off-road, while offering unparalleled on-road performance and handling. RECOVERY READY: Be ready for any recovery scenario at any moment. 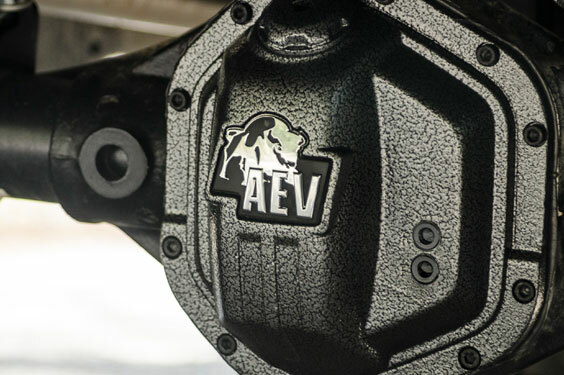 To make sure our customers are ready for anything, AEV bumpers offer mounting points for popular accessories such as Hi-Lift jacks, Pull-Pal winch anchors, and more. 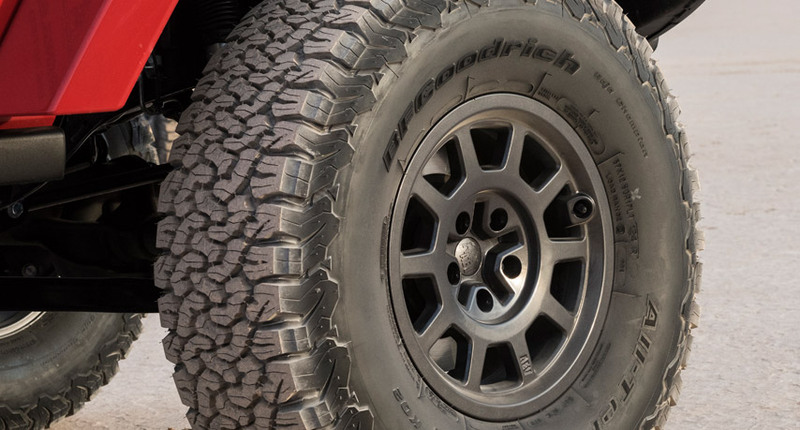 PERFORMANCE TIRES: 35" or 37" BF Goodrich KO2 All-Terrain tires provide amazing performance both on road and on the trail. Using the AEV ProCal Module, the JK's speedometer, gear ratio, stability control, and transmission are properly recalibrated for the larger tires. Optional Mud-Terrains available. 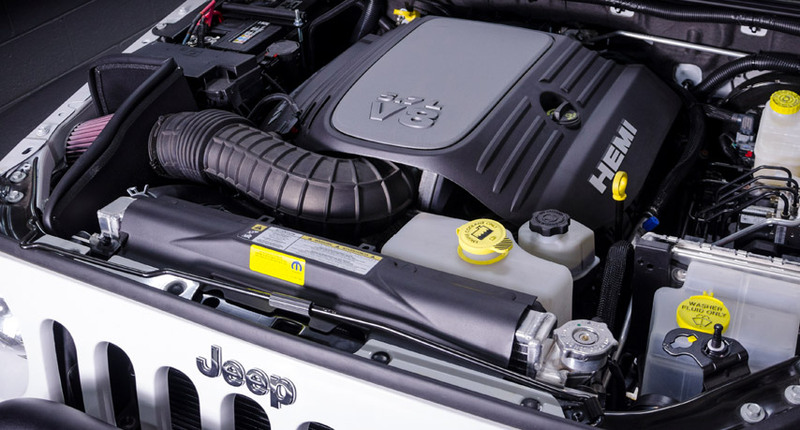 HEMI ENGINES: AEV's Hemi Engine swaps were the first and remain the best—if you’ve dreamed of having a V8 powered JK look no further than AEV’s 6.4L or 5.7L Hemi Swap. 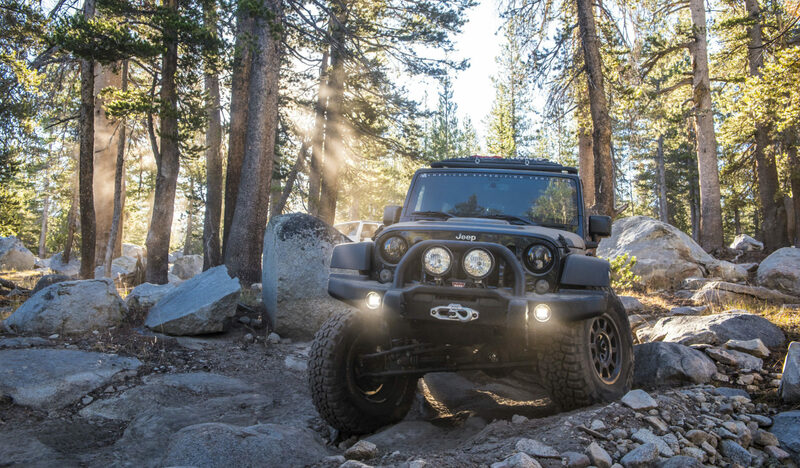 Featuring up to 470 horsepower and 470 lb-ft of torque, our JK Hemi conversions are ready to go the limit. Engineered and designed to provide fitment and performance like straight from the OE factory. 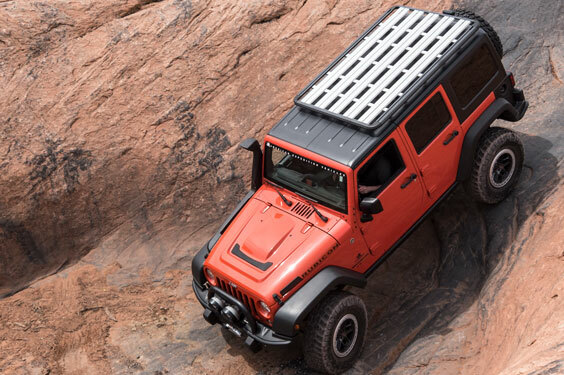 ROOF RACK: Sleek and sturdy, the JK Roof Rack is a must-have for serious off-roaders, overland adventurers, or even families that travel. 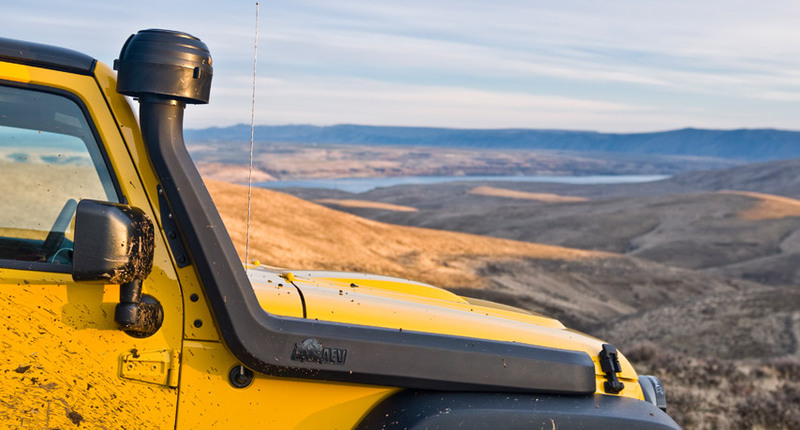 The mounting system distributes the weight of the roof rack securely to the Jeep’s much sturdier roll bar and not the hard top. Strong but lightweight aluminum planking makes this roof rack strong enough to stand on, or for mounting a rooftop tent. DIFFERENTIAL COVERS: Designed specifically for the Front and Rear Dana 44 axles found in the 2007-2018 JK Wrangler. Both covers are equipped with Wrangler-specific, front and rear fluid-level ports and oversized fill plug/inspection port. Made in the USA of thick, 100% nodular iron, this differential protection shields your gear case from rocks, roots, and other trail or riverbed obstacles. REAR CORNER GUARDS: Added protection and styling. 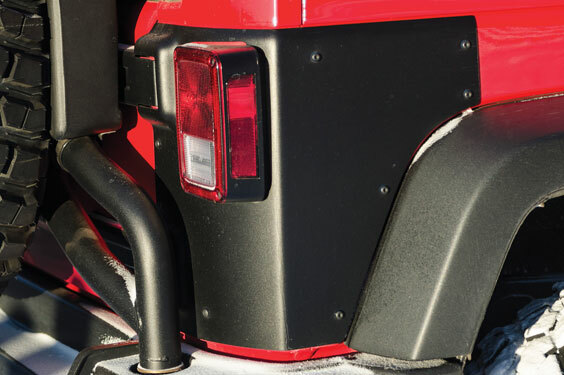 Precision OE-level manufacturing sets the AEV Rear Corner Guards apart from any aftermarket corner protection on the market. Hydraulic stamping further strengthens these 1/8” steel corner guards, and an e-coat/powder coat finish protects against rust and corrosion. 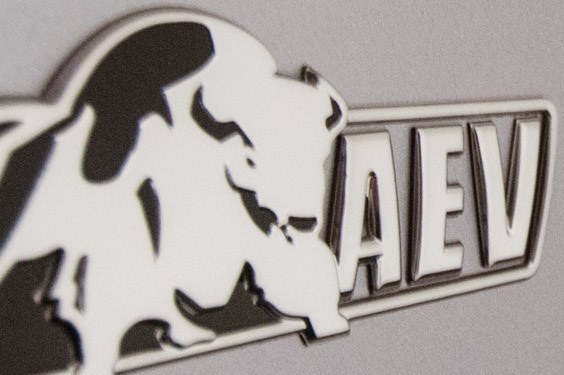 The AEV brand garners international respect as a leader in high quality aftermarket components and vehicle builds. Vehicles built by AEV receive an exclusive branding package that includes a Windshield Decal, AEV Exterior Badging, Embroidered Headrests, and Custom Gauge Cluster Emblem. All AEV products, JK Wrangler package vehicles, and all other vehicle builds are covered under AEV’s Warranty. Warranty and financing inquiries can be made with your AEV Sales Representative. AEV components on your JK Wrangler are proudly made in America and assembled in Michigan by highly-trained AEV technicians. Every AEV JK package vehicle built receives a door-mounted AEV Build Plaque stating the vehicle’s serial number and build date.